Solution: The VeinOPlus Vascular device effectively treats calf muscle pump dysfunction, significantly improves blood flow, and accelerates wound healing. Prior to applying the cast or Unna Boot, clinician applies two VeinOPlus electrodes on the same calf (butterfly position) or one electrode to each calf with the lead wires facing north. The cast or Unna Boot is then applied over the electrode pad (s). Finally, the interface cable is connected to the lead wires and to the VeinOPlus Vascular device. Patients depress the ON/OFF button and then the Intensity (+) button until feeling a twitch in the calf muscle. Every second, the VeinOPlus device delivers an impulse to the calf muscle, causing the skeletal muscle pump to contract similar to what occurs when walking. 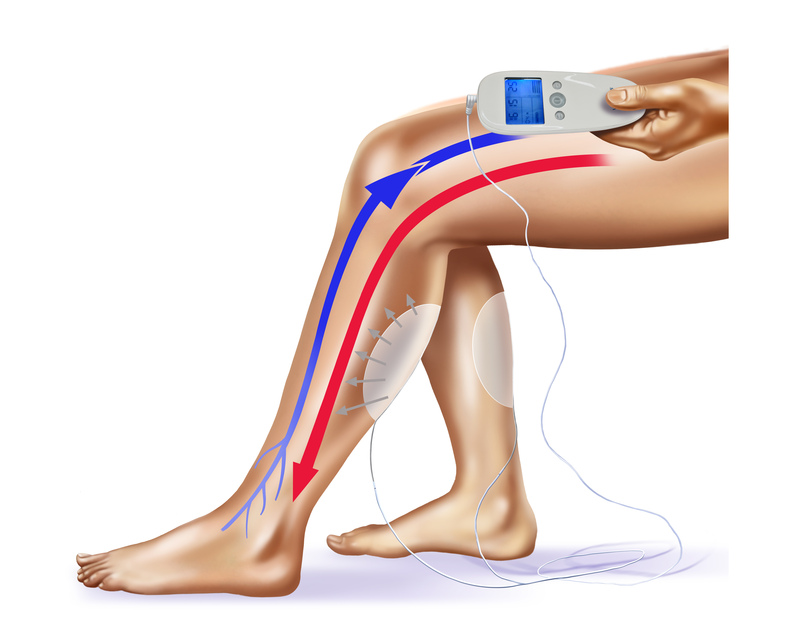 During each hour of therapy, the calf muscle pump is activated 3,600 times. 1. Venous outflow volume is increased 7 times. 2. Peripheral vascular resistance is decreased 35 – 40%. 3. Arterial inflow is increased 4 times. VeinOPlus Vascular successfully treats disuse muscle atrophy when total contact casting, walking boots, and Unna Boots are used in treating diabetic foot ulcers and/or venous stasis ulcers.